You know those sites that have so much on there, it is such good quality, that you just can’t seem to get to it all fast enough? Super Teacher Worksheets is just that kind of site! With 10,000+ worksheets to print according to need, this was one amazing product to review. And the Individual Membership gives access to their entire site! This is not just a site for homeschoolers but for every teacher! Super Teacher was launched over 8 years ago by Tim Weibel, who had been an elementary school teacher for over 10 years. The site has over 10,000 different printables. It includes traditional worksheets but oh! so much more! You will find a huge variety of styles of worksheets and subjects. If you don’t find what you are looking for, there is also a worksheet generator. So, really, there is no reason to not find something to assist with what you are studying. The site covers variety of ages. There are lots of activities for PK and elementary ages. As you get up into the 4th, 5th, and 6th grade range, there is a noticeable decrease in availability. Reaching even higher, there is very little. However, these are designated age ranges. We have been able to stretch quite a few of the activities into the 6th grade level without much trouble. Add in the worksheet generators and there are still quite a number of pages to print for the middle school, junior high, and high school ages. They are adding new things each week; there’s no telling when just what you need will be added. There are also worksheets within these subjects that correspond to holidays and seasons. 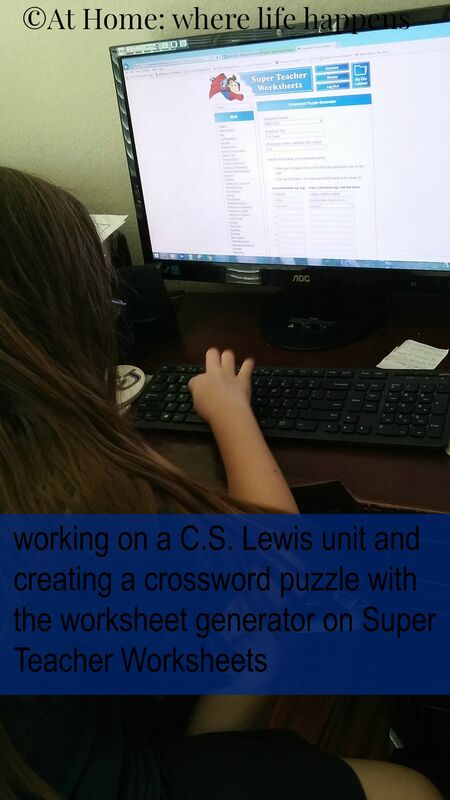 To use Super Teacher Worksheets, you’ll need a subscription to the site, a computer, and a printer with ink and paper. That’s it! We have covered several units during the review period of Super Teacher Worksheets. For each unit, I have searched to see what we could use. I have also pulled fun activities. Math is always something that could use reviewed and we have printed a number of math worksheets for the girls. For our first week of full-time schooling, I found some fun activities that would help them review subjects we hadn’t covered in depth in a while. 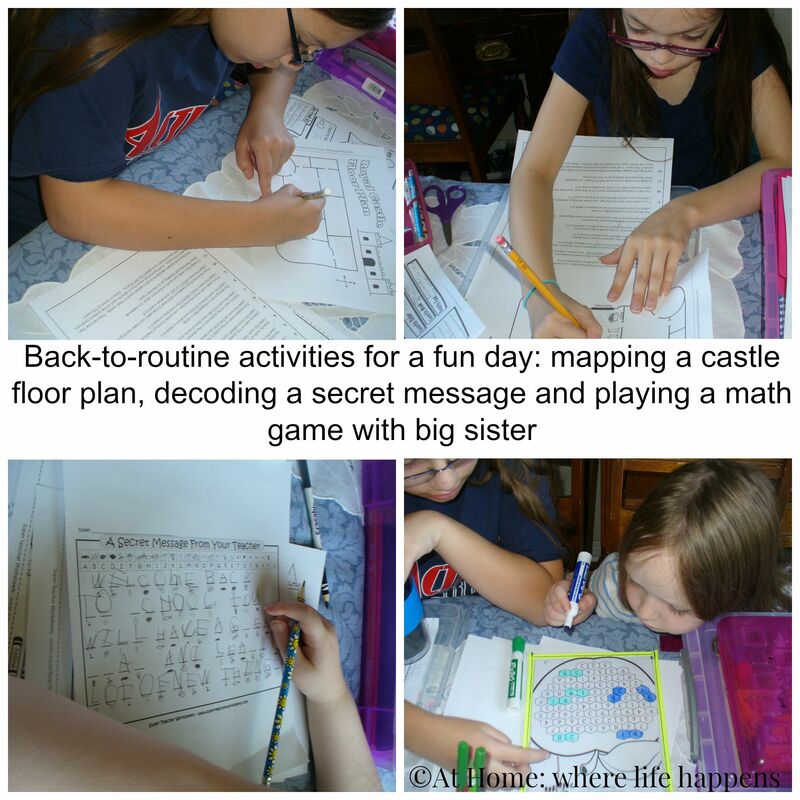 All three girls completed an All About Me sheet, as well as a following directions activity where they had to complete the floor plan of a castle. E got some multiplication review, math work on division, graphing work (plotting a set of numbers), and a crossword puzzle. L got a fill-in-the-blank word search, some multiplication review, and a time worksheet. J worked on decoding a secret message, some number reviews, and sight word reviews. In our unit on the Giving Tree, we used a poetry worksheet and comprehension questions, using that as a platform to jump off from in writing our own poetry. I printed out a set of vocabulary matching cards about trees and challenged the older girls to match them, which was the intent of Super Teacher instructions on the pages. But after matching them, I stretched the girls and had them write the definitions and create sentences with them. They also worked with J on matching and explaining the words. I found a set of sentence activities for J that dealt with growing things and trees. She worked on creating sentences from a set of words and writing sentences down. 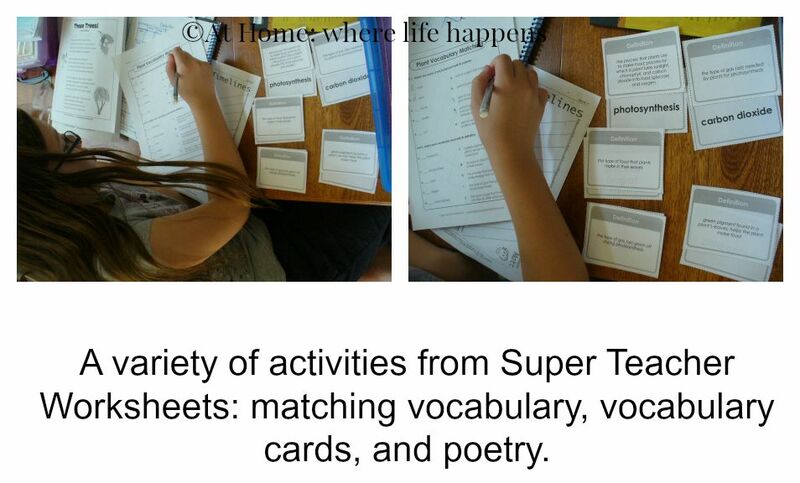 These activities came directly from Super Teacher. I can see that this site will get used quite a bit in the future. When we took a last minute trip a couple of weeks ago, I was able to print out several worksheets for each girl and we didn’t have to tote along very much in order to continue school during those 6 days. It was great and I see us using this a lot! 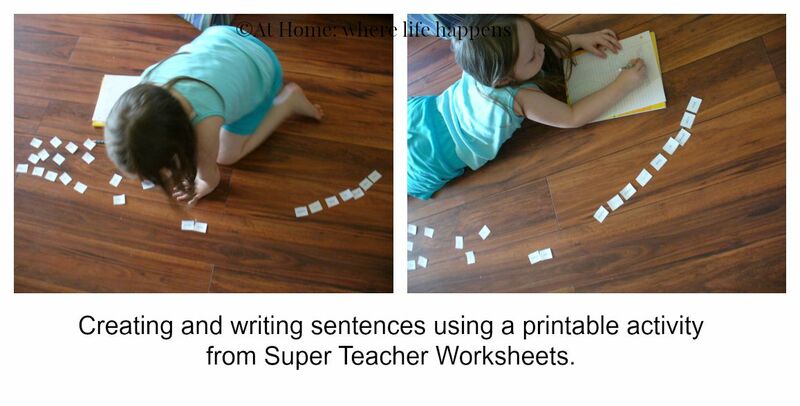 Definitely check out Super Teacher Worksheets. 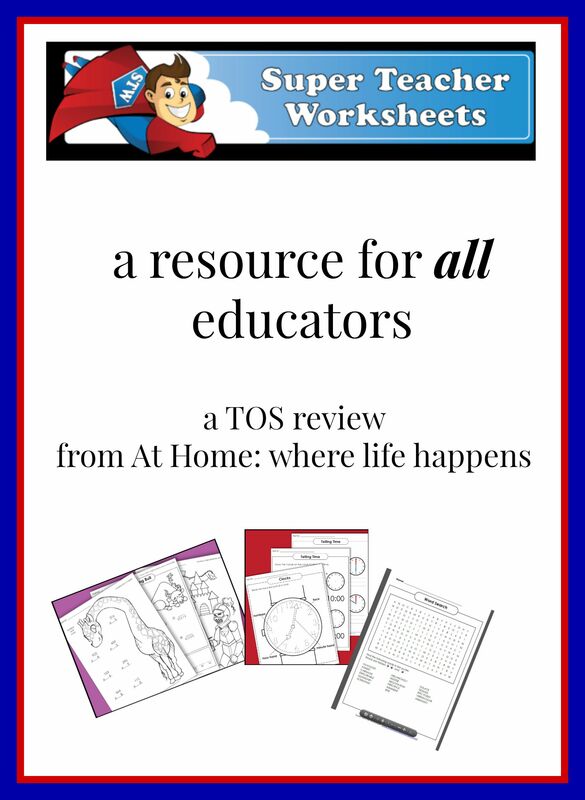 Find more reviews of Super Teacher Worksheets from the TOS Crew by clicking the banner.